inferno client Campbell Clinic has led the field of orthopaedics since its founding in 1909. More than a century later, that hasn’t changed. The 2015 addition of their Spine Center in Cordova, TN now provides a distinct destination for the growing population of patients suffering from arm, back, leg, and neck pain associated with spine disease and injury. 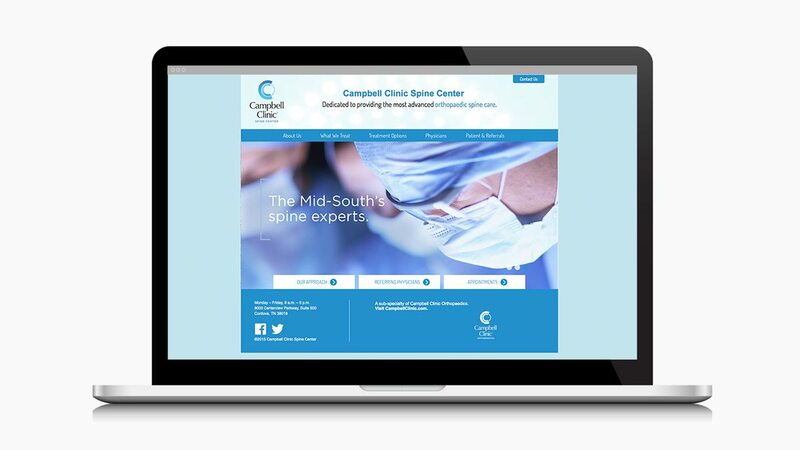 Charged with building the backbone of the Spine Center’s web presence, our team set out to make a website that would distinguish itself from Campbell Clinic’s overall site without creating a disconnect in terms of brand messaging. Visit campbellspinecenter.com and campbellclinic.com to see for yourself.